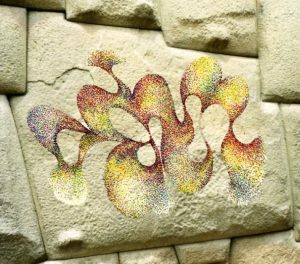 Secrets in the Stones - News and Stories. Acoustic qualities at sacred sites. Archaeoacoustics – the study of sound at archaeological sites; is a relatively new area of research, although people such as Paul Devereux have been working with it for many years. During my career in stone masonry I quickly became aware of the acoustic qualities in stone. 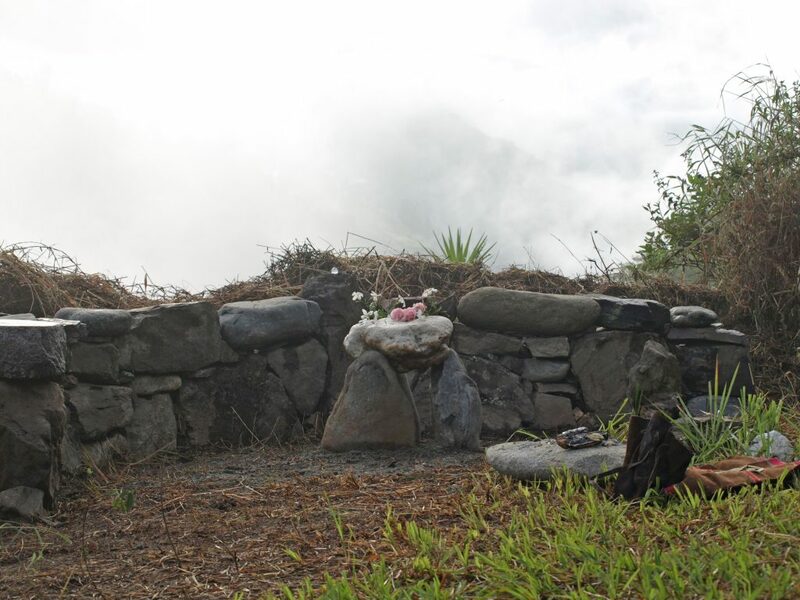 This opened up a new vista of awareness as I began studying the structures at ancient sacred sites. During my first visit to Peru in the 1990’s it became clear to me that the huge polygonal structures could not have been shaped by simple hand tools. But what was even more intriguing was the astonishing perfection of the inner temple walls. Built without mortared joints, the precision tailored fit would be extremely difficult to replicate in our 21st century machine age! The carefully chosen stone contained large amounts of quartz, a mineral in common use today in our technological age of computers. Quartz has piezoelectric qualities – it not only stores information but can stabilize frequencies. Were their inner temples constructed as resonating chambers, able to induce an alpha state in the brain? There's a striking similarity of both choice of stone and method of construction thats evident at many ancient sites; not only in Peru, but also in Central America, Egypt and across the world. Every standing stone in a circle engages with every other stone in an energetic cross talk. 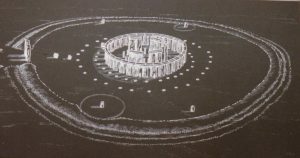 Artist impression of Stonehenge in its original form. Pyramid and temple complexes embrace the principles of sacred geometry and were always positioned where the Earth’s resonance is at its optimum. 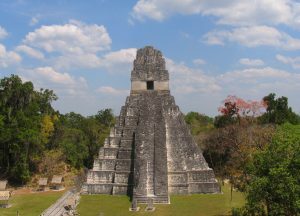 The main plaza at Tikal has a remakable layout of harmonic structures, and although many of the buildings are now in a semi ruined state; sound reverberates across the plaza echoing amongst the buildings in an extraordinary manner. Ancient sites are a multi layered experience that often trigger a deep spiritual awaking in many people. Experiencing the harmonic resonance at these sites can be very profound and we are only now perceiving a fragment of what once existed there. Our ancient ancestors were masters of harnessing both Earth and Cosmic forces. 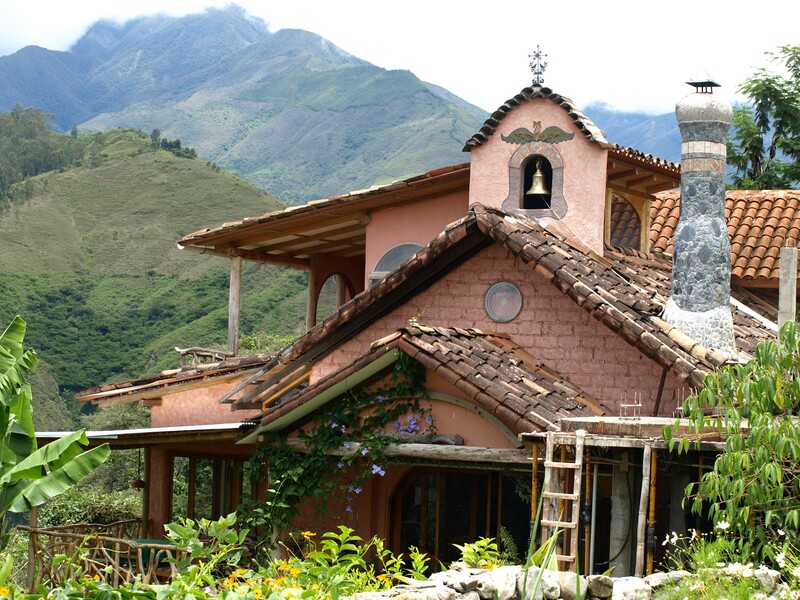 In 2009 I journeyed to Monte Suenos a retreat centre in Southern Ecuador with just the intent of exploring and enjoying this beautiful area. 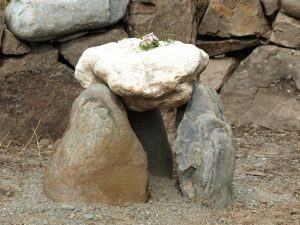 The spring Equinox was drawing near and I mentioned to my hosts Dr Brian O’Leary and his wife Meredith that I wished to honour the turning point of the year with a ceremony. They took me to the highest point of their land, an awesome location with a vista of mist shrouded mountains across the valleys. I remarked to them that the spot felt like a sacred site and saw the vision of a semi circular stone wall and offered to build it. A group of young Ecuadorian men were assigned to assist me and began carrying large pieces of stone on their shoulders up to the site. On one our forays to locate more stone, we went searching along the valley river banks and discovered a large milky quartz rock. It had a very irregular shape and I wondered if I would ever be able to incorporate it into the wall. I was soon to discover that the ‘Universe’ had already planned where it was to fit with great precision. Note the facial features in the support stone on the right. 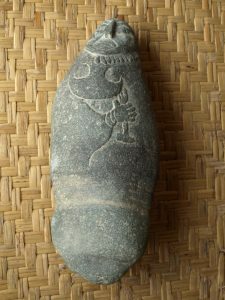 This is one of the very intriguing artefacts that I was fortunate enough to examine during my visit to the Vilcabamba, Ecuador. This carved rock stood about 35 centimetres tall and was created from very hard stone. It was part of a private collection and originally discovered by local people who due to their extreme poverty often sell artefacts to more wealthy foreign locals. I examined it closely and determined it was a genuine ancient artefact of unknown origin. There were no modern tools marks upon it. More updates and news to follow - this website is in ongoing developement.